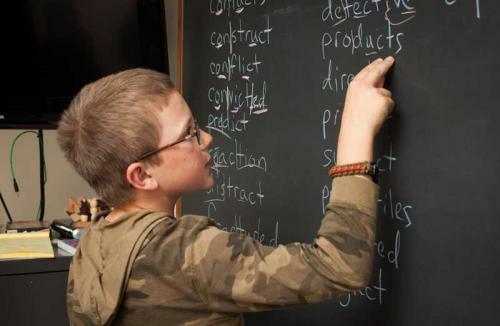 Kids, even very smart ones, may struggle in school because they have specific learning differences such as dyslexia. Estimates as high as 15% of America's school-aged children have identified specific learning disabilities that make reading, spelling and writing harder than expected. For students like this, there is often a mismatch between traditional teaching approaches and the child's needs, based on their pattern of strengths and weaknesses. All children can learn. All children learn differently. At Bend Learning Center, students capitalize on their strengths and work effectively on their weaknesses with evidenced-based, proven strategies, endorsed by the National Reading Panel's recommendations. Our students improve skills, become increasingly self-reliant, develop more perseverance and resiliency and consequently, add to their own sense of worth and self-esteem. We work one-on-one, and with small groups of students who have learning difficulties. Session are held at the Bend Learning Center offices. Bend Learning Center has proven success using teaching strategies for reading, spelling, and writing utilizing innate intelligence and thinking skills students already possess. Students realize immediate results starting with a sharp improvement in handwriting.